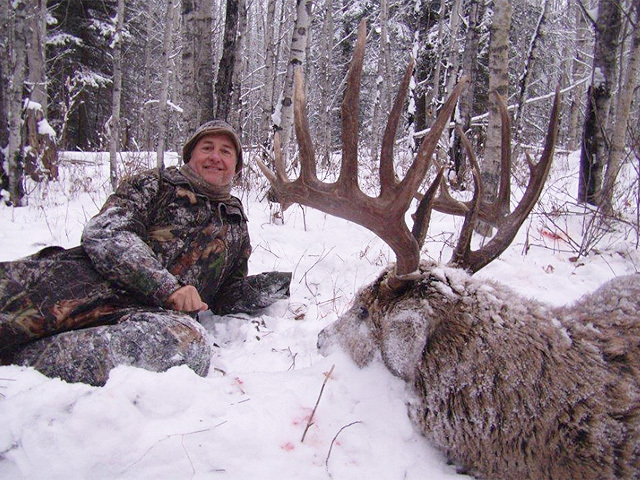 If you are looking for a big chocolate horned Canadian whitetail this is one to consider. 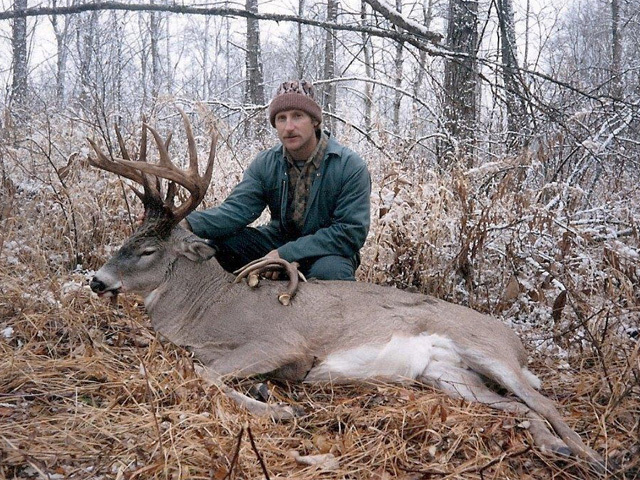 The majority of previous hunters have seen a 150 inch or better buck. This area is not known for a large deer population – a good average is to see 1-5 bucks a day but the potential to kill a giant is there. 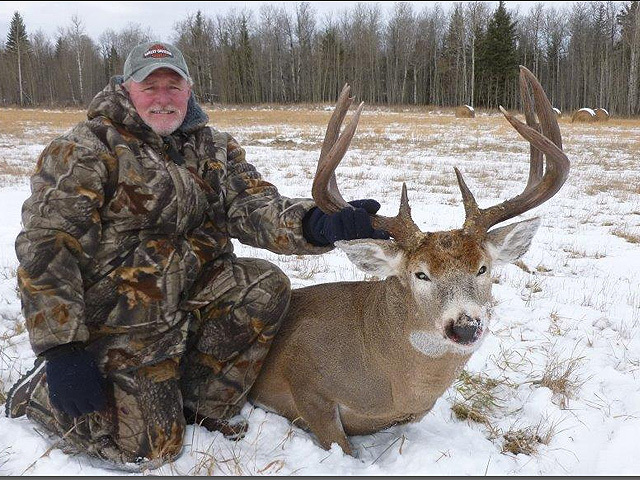 Many 170-180 inch bucks have been taken along with an occasional 200 incher. 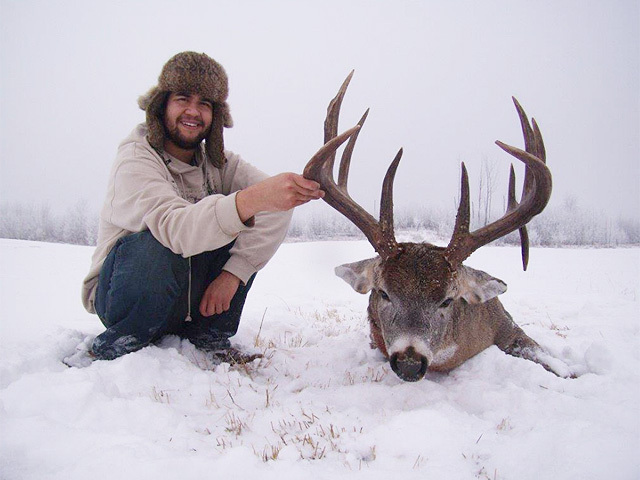 Rifle hunts are offered and held in November. The most common method is sitting in tower stands or ground blinds near food plots or alfalfa fields. Approximately 90% of the hunting is done on private land. 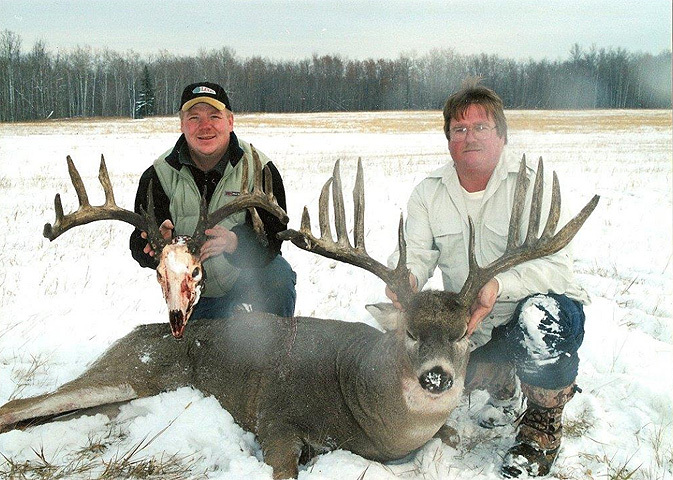 The outfitter runs a small operation and normally takes 8 whitetail hunters a year with a maximum of 4 per hunt. Licenses are guaranteed through the outfitter. $750 for license and GST. Includes meals, lodging, 2×1 guiding, field care and skinning, airport pick up and drop off at Edmonton airport.